Add Sum Genius Math Puzzle games can make learning more fun and engaging. When children play games, they can apply their math skills to new and unique scenarios while building logic and critical thinking skills. They also get a chance to practice math in a way that is fun and appeals to their interests. The game will appeal to children at many different grade levels and with many different interests. The game also covers a variety of concepts and skills, ranging from basic addition and subtraction skills to solving complex equations. Rotate the circle to line up a number in it that will add up with the number in the descending disc to give the answer in the middle. Top Scores are shown on the Leader board. Points are awarded for a different level of speeds. 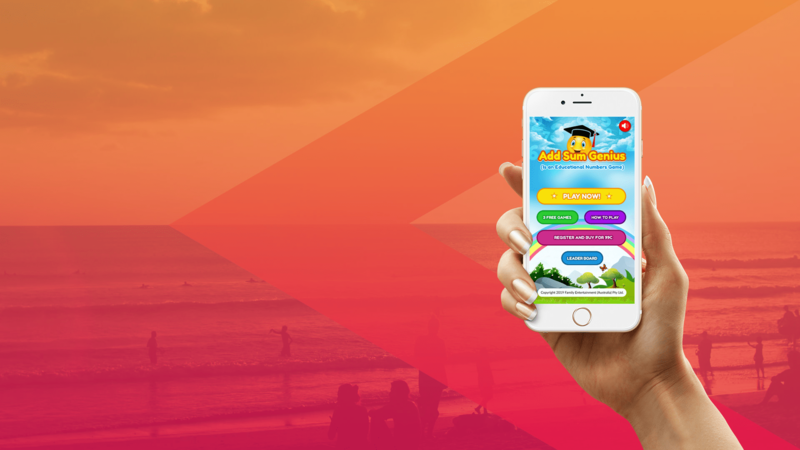 Enjoy Add Sum Genius brain training game. Playing this amazing maths game on your mobile device improves hand-eye coordination of people and helps to increase numeracy skills without the use of any calculator or papers. Some Free games can be played to give the viewer an introduction to the Add Sum Genius game. Just register with your credential and login to your account to start playing. After trying few games, you have to pay US$0.99 for playing Advance Level. Download the Add Sum Genius App Free for Android and iOS.